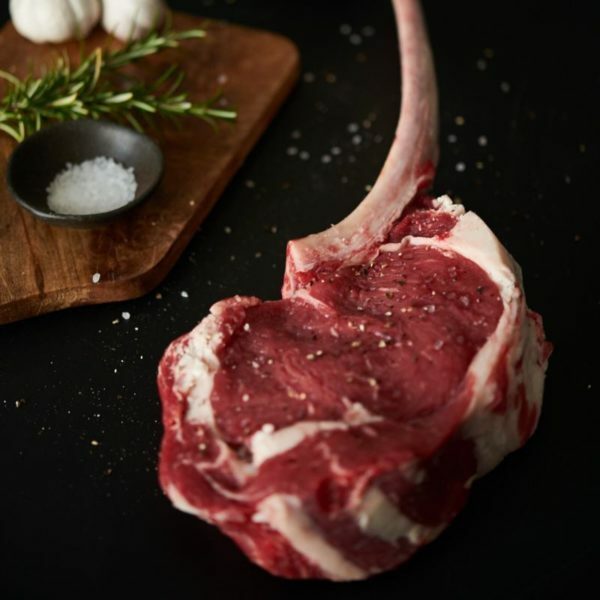 Thick, tasty and juicy, a Tom-a-hawk Steak is an ideal steak for sharing. 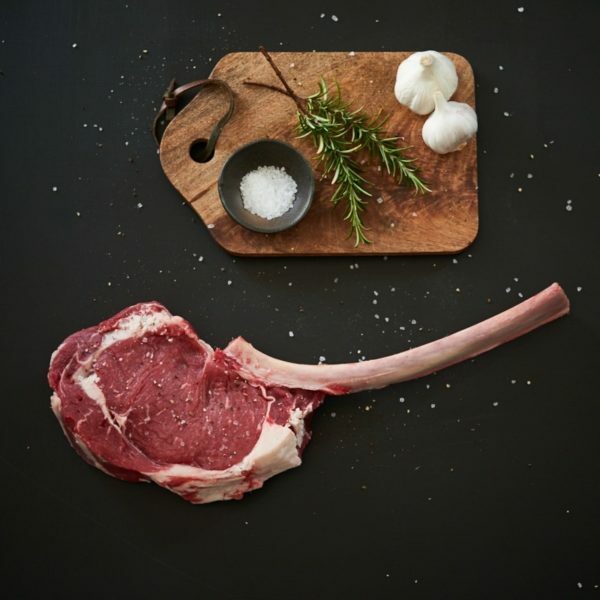 Supposedly resembling a tom-a-hawk axe, it is the first cut of sirloin from the forerib with the rib bone left in. The bone adds to the depth of flavour when cooked, you can always roast it if it’s too big to fit in the frying pan! Bought these for my son and son in law. We ladies had the fillet steaks. To say the men were pleased with them is an understatement, they said they were the best steaks they have had, lovely and tender and my son in law cooked them on the bbq on New Years Eve. Fabulous steak. The first time that I have ordered from Scott Brothers. The steak was really tasty with a deep flavour and very tender. I have ordered more items including fillet steak and I am really looking forward to trying that too. Thanks so much for your kind review, it means a lot when customers give us feedback. We are glad we enjoyed your Tom-a-hawk Steak. An exquisite steak! Delivery was prompt and the contents well packed. The meat looked wonderful! I seared it on all sides then popped it in the oven for 25 minutes with a knob of butter and a sprig of thyme. After resting it sliced like butter! There is more than enough meat to feed 4 people making this a really cost effective cut! I have since thought of a few more recipes I would like to try so I will definitely be buying more! It is so nice to see such a quality, British product so well presented from a butcher who obviously care about their meat!